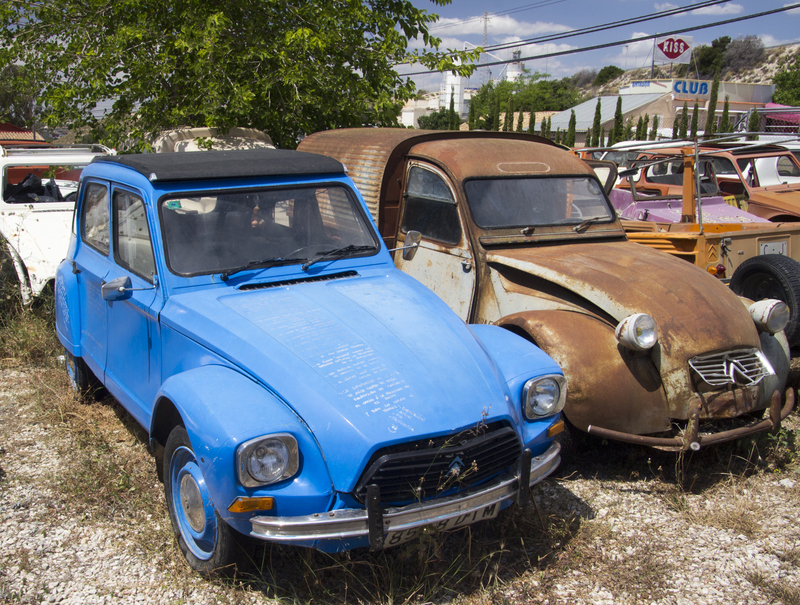 Fans of classic cars will find this a fascinating place to visit. Aficionados of 2CVs really cannot miss out on this automotive treat. Located just outside Alicante on the N-332 northbound, it’s easy to miss so make sure you have a look at the map before heading there! 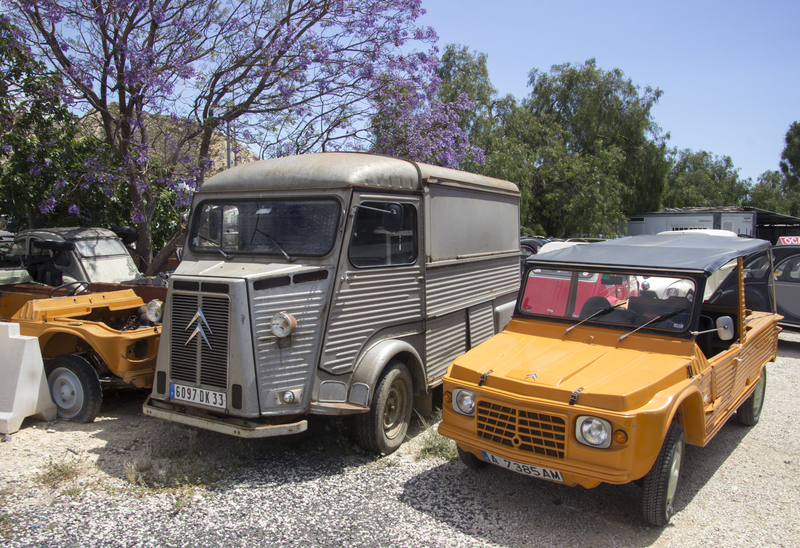 Principally, this is a garage specialising in spare parts for the iconic 2CV and the less famous Mehari cars. You can order parts online if that’s what you are looking for, but I imagine that most visitors are there just out of curiosity. 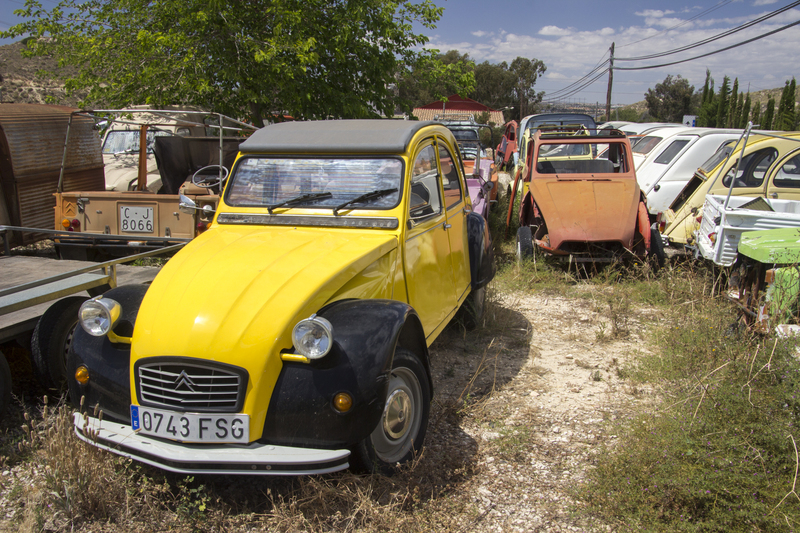 I call it a 2CV graveyard because that’s what it looks like at first glance. There are numerous examples of this much loved classic car around. One beautiful blue one has a rather long poem written on the bonnet. It’s in Spanish, and to be honest, I haven’t got around to reading it all yet, let alone trying to translate it! There is even a quote from the Dalai Lama inscribed on the door. Step deeper into the yard and you’ll wonder if you’ve found a hidden store for the movie industry. There are petrol pumps and signposts from yesteryear and a number of wonderful old vehicles currently undergoing restoration. It is a wonderful addition to any trip to this part of the region. 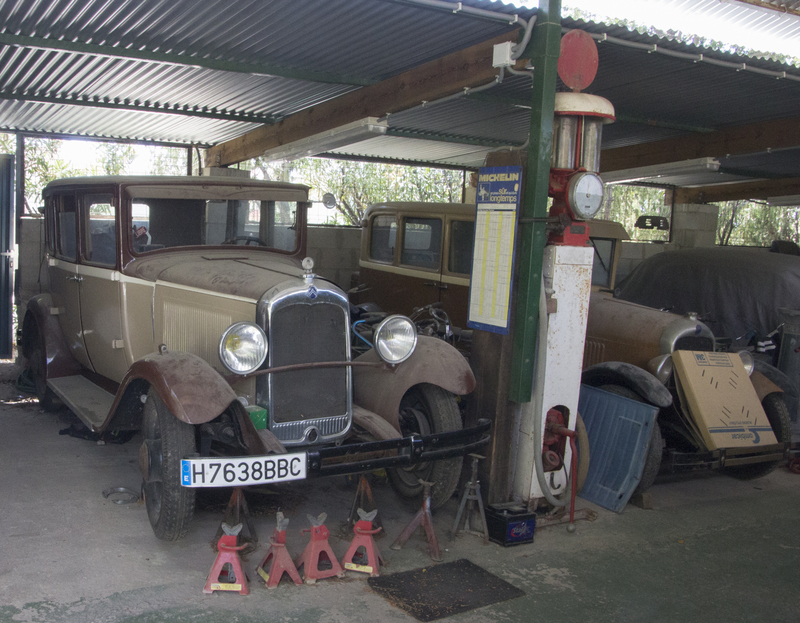 If you want more antique autos, there is a show at the Alicante showgrounds in April.